Scroll Down On This Page To Place Your Order Online Today! 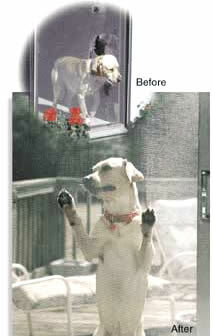 Pet screen is a window screen material that allows excellent outward visibility and airflow, while also standing up to the wear and tear of your cats and dogs. When you use pet screen, you may never have to re-screen your windows or doors again as this window screen material is long-lasting and pet-resistant. 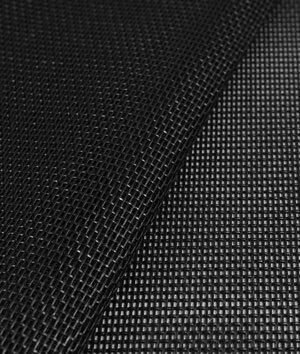 Pet screen is made of a durable vinyl-coated polyester, seven times stronger than standard insect screen: Metro Screenworks’ pet screen is made in the USA with the highest quality window screen products. This durable pet and insect screen can be installed in your sliding screen doors, windows, porches, patios, custom screen systems and more!Our pet screen is also used for all types of craft projects. Sold in 100 ft. and 25 ft. rolls and in widths from 36", to 96" wide. While available in many colors, black offers greater visibility. Metro Screenworks also offers the pet screen as a screen option in our made-to-order custom made window and sliding screens doors. Order online today or call us at 1-800-413-2579.